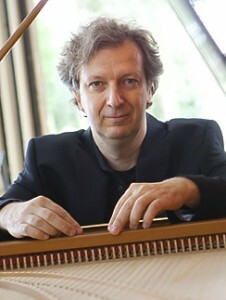 Carsten Schmidt made his professional debut with the Essen Philharmonic in Germany in 1984, and has performed extensively throughout Europe, North America, and Japan. Active both as a pianist and harpsichordist, his repertoire ranges from the early seventeenth century to contemporary works, of which he has premiered more than one hundred. He has appeared at such venues as the German Mozart Festival, Ravinia Festival in Chicago, Schubert Festival in Amsterdam, Kennedy Center in Washington, DC, Merkin and Weill Recital Halls in NYC, the Moscow Conservatory, and the Kuhmo Festival in Finland. Since 2003 he has also been increasingly active as a conductor, leading productions of operas by Handel and Purcell, and orchestral repertoire ranging from Marais to Mahler. Carsten Schmidt graduated with distinction from the Folkwang Institute in Germany, and subsequently received an Artist Diploma from Indiana University and a doctorate from Yale. He joined the faculty at Sarah Lawrence College in 1998, and is artistic director of the Staunton Music Festival in Virginia.